Everyone knows the Founding Fathers. They know George Washington, Samuel Adams, Ben Franklin, and John Adams. There are more of them though, right? Of course there are! One of these men is Marquis de Lafayette. He was a Frenchman that came over to help out in the fight for freedom. What some people might not know is that he was upset with a couple of the things that he saw when he arrived at the colonies. So upset that he said that if he had known how bad this was he would not have come over to help. What could possibly be so horrible that one of the famous Founding Fathers did not even want to help out? Slavery. Lafayette was not happy with the way he saw the colonists treating the people that were doing all the work for them was awful. He thought that this was the way that all colonists treated the slaves that they had. This idea was changed though. He was injured during a battle and was taken to an area in Pennsylvania where there were people who agreed with his views. These people were the Moravians and the Quakers. He was there for a while so that he could heal. While he was there, Lafayette was talking with them and learning the ways of abolition. Lafayette took the things that he learned while he was with the Moravians and the Quakers to heart. He decided that he was going to do something to help out the slaves. He wrote to George Washington, who had become sort of an adopted father to him, and told him this grand plan that he had. 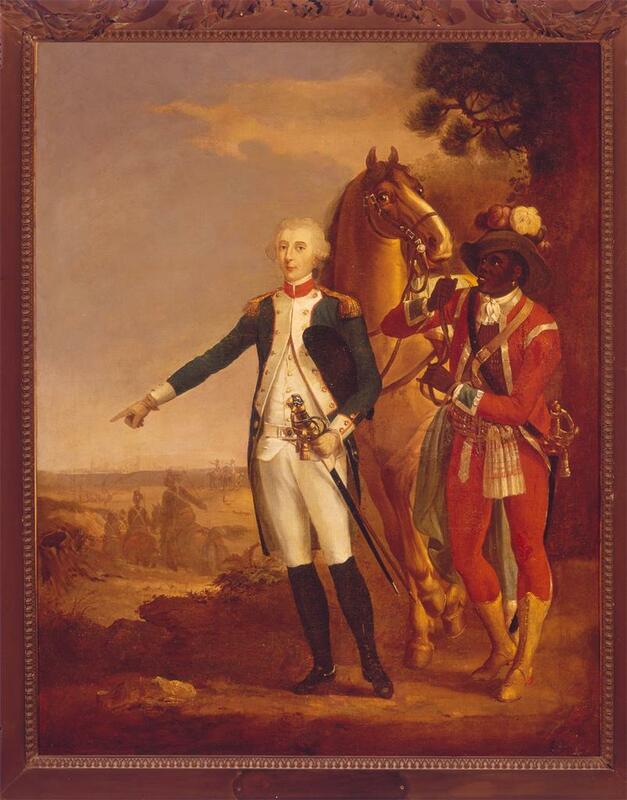 Lafayette’s plan was to buy a plantation with Washington. They would then buy slaves straight from the ships and put them to work. The thing is though that they would not be called slaves. They would become laborers. There would be no punishments really for what these laborers would do, but in return they would gain knowledge to help them become freemen. In the letter Washington liked this idea, but he told Lafayette that he would not be doing this with him. That was not the response that Lafayette was looking for and he became greatly disheartened by this but it did not stop him. He decided to go on with his plan anyway. He went out and bought land on an island and followed through with his plan. When those slaves first set foot on the plantation, they thought that this was going to be like all of the other plantations that they had heard all about. Lucky for them those fears were put to rest when Lafayette said that they were not going to be slaves there, instead they would laborers. The laborers were overjoyed at this. It actually turned out that they were working even harder. If you are working towards something you put everything you have into it and this is what the laborers did. Lafayette’s profits were some of the highest out of all the plantations in the Caribbean. He did so well that there were some plantations that actually copied what he was doing and they were successful as well. As time went on, the other Founding Fathers had died. Lafayette had returned to America, he met up with President James Madison. Those two had a long discussion about what they had been doing and many things like that. Some how though, it always came back to how America was handling the slavery issue. These two men had very similar thoughts on what slavery was. They both saw it as one of the most evil things on Earth. President Madison told Lafayette that he was going to be keeping him in the loop of everything that was going on with the issue of slavery and how they were going forward in getting rid of it. There were many people that you think of when you think of famous Americans and slavery. One of the people that you don’t really think about is Marquis de Lafayette. Once you hear of him though, you know how much he did for the abolition movement and helping slaves become freemen. ← A Glance at Elizabeth Willing Powel’s Political Power, Position and Opinions of Slavery.